After the most recent round of rumors that a potential sale was in the works that would see Full Tilt poker taken over by Groupe Bernard Tapie, yet another month has gone by and there is still no official progress. However, unlike previous times, when “anonymous sources” stated a sale was imminent, this time around there is also some circumstantial evidence pointing to Full Tilt Poker potentially returning in the near future. As we reported a few weeks ago, Full Tilt poker is apparently hiring, posting job openings for mostly Customer Service reps on a few online job postings sites. A number of jobs were listed at jobs.ie, in early March, pointing towards Pocket Kings looking to hire 14 people. You can read our full write-up on these job openings here. According to PokerNewsReport.com, the Full Tilt Poker software was online on Tuesday, with 411 players sitting at their tables. Nobody that tried to log-in could get to the poker client, but several people reported they had their software updated, and the Full Tilt website showed the “GREEN” dot, signifying the site was online for the first time since June 29, 2011. Speculation on why the site was online has varied, with the most optimistic thinking it was a dry run of the software by GBT. 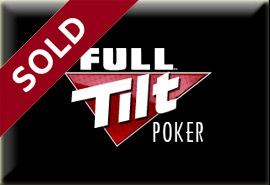 PokerFuse.com also had some breaking news on the Full Tilt front on Tuesday, stating that a new company has been incorporated in Ireland by Laurent Tapie, and Prosper Jerémy Masquelier (both of whom are part of the GBT fronted ISPT Poker Tour) called New Full Tilt Limited. According to the report the company has €1 million in seed money, although the precise nature of its operations is still a mystery, but the company is listed as a software consultancy and supply firm. You may recall back when the Aldernay Gambling Control Commission (AGCC) finally revoked Full Tilt Poker’s license after a few hearings and plenty of delays there were a few subsidiary companies listed as having their licenses revoked. However, there was also one company associated with Full Tilt Poker that got a slap on the wrist from the AGCC because it hadn’t been up and running long enough to be in operation. Orinic received a 6-month suspension from the AGCC, and now the Full Tilt subsidiary has reapplied for their AGCC license. While there is nothing concrete in any of these reports, the sheer number of them has to keep players’ hopes alive that the sale of Full Tilt poker is in fact on the horizon. This entry was posted on Tuesday, April 17th, 2012 at 9:20 pm and is filed under Poker News. You can follow any responses to this entry through the RSS 2.0 feed. You can leave a response, or trackback from your own site.